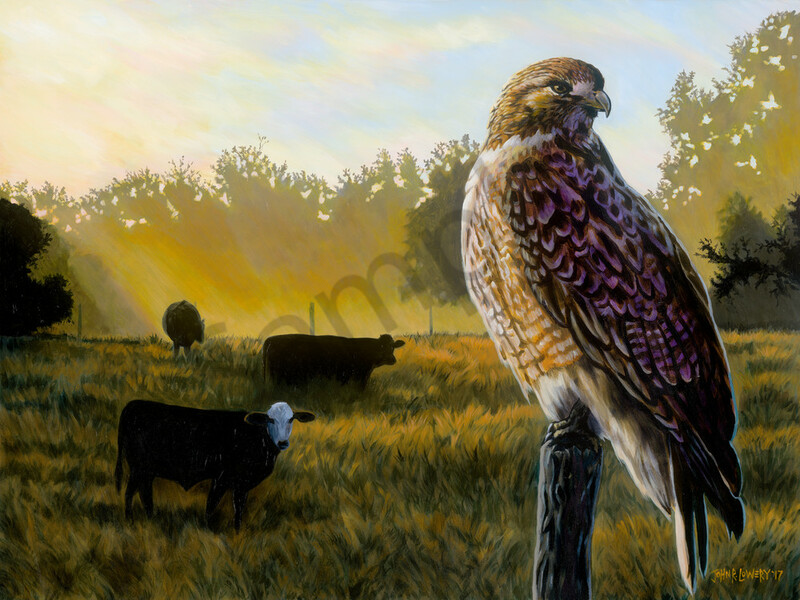 Painting of a hawk on a fence post with a pasture in the background, for sale as art prints. Driving through the Central Texas farm roads means catching glimpses of hawks launching themselves from fence posts as you drive near. I find myself trying to follow their flight path just to sneak a peek at these awesome birds of prey. The original painting is available in the Studio in Round Top. 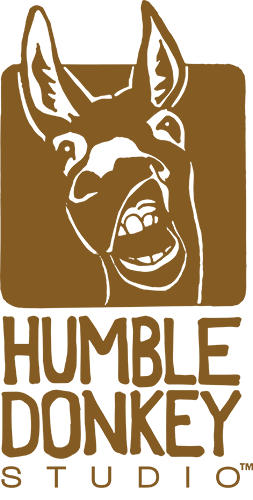 For information, please contact John R. Lowery at john@humbledonkeystudio.com.